Nice. It is a good sign for Apple. I also think so. Because I just practically observed it. Apple is a slandered brand. I always prefer Apple's product. I never quite realized how Apple became a slandered brand. Now,with Apple overtaking Microsoft, I wonder what MS has to say about playing second fiddle. Whatever people might say .. apple is the standard. and they sell the product that is best optimized ..
Apple is best in terms of innovation for me, buut since Android is Open-Source it is quiet cheaper than iOS. 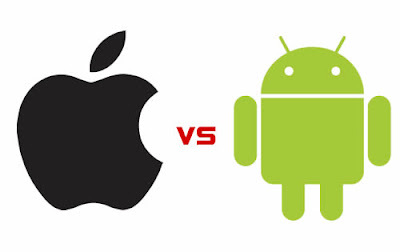 I guess it is more of a marketing strategy as to why many software engineers tend to create more applications for Apple products rather than Android. Personally, I find iPhone more user friendly than Android smartphones. iPhone is more well-known, and lets admit it, in demand right now.